Clocking: simply another word for “take timings of”. ie if you “clock” the rotor or ball, you are simply clicking buttons to take timings of revolutions. When the ball is released, it gradually slows down, loses momentum and falls from the ball track. Sometimes the ball hits a metal deflector (diamond) and falls without much bounce. Sometimes it bounces everywhere. Sometimes there is still a fair bit of ball bounce. And while you can never predict exactly where the ball will fall, YOU DONT NEED TO. You need only to predict roughly where the ball will fall with enough accuracy to overcome the casino’s slight edge against you (house edge). For some wheels, this is very easily done. For other wheels, it is much more difficult. Now that we know WHERE the ball will fall at least an inordinate amount of times, what if we knew what number was under this area WHEN the ball fell? This is easy to determine, and I’ll explain how later. This means that if we knew when the ball timing (speed) was about 1350ms per revolution (about 1.3s per revolution), then we’d know the ball has about 12,500ms (12.5s) before it likely hits the dominant diamond and falls. Again of course this wont happen every time. It only needs to happen enough of the time. If you check your local casino’s wheels and compare where the ball first touches the rotor to its final restring place, you will see the ball bounce is usually still quite predictable over 15-30 or so spins. How we apply this knowledge is explained later. If you had a method to determine when the ball is about 1300ms (1.3s) per revolution, at that precise moment, you could look at the number under the reference diamond and write it down. Then wait for the ball to fall and come to rest. This will leave you with a first and second number like “A,B”. For example say you got 0,21. This will tell you that the ball landed 5 pockets clockwise of your initial “reference” number. See the left image for reference. What I’ve explained above is a very simple method of beating roulette, or more like the science behind a method called “visual ballistics”. The key component of any visual ballistics method is how you determine when the ball is at the targeted speed. Because when you have identified that target speed, you will know the ball has the same ball revolutions left before it falls and bounces however many pockets. Can you virtually GUESS when the ball has 1 revolution remaining? How about 2 or 3 revolutions remaining? How about 5 or 6? It really is not at all difficult. If you can be accurate to within 1 ball revolution, then you can achieve exactly the same accuracy as most roulette computers without needing any device. Remember, you don’t need to measure accuracy to within 5ms, 20ms or even 100ms because you are only determining how ball ball revolutions are remaining, and this automatically tells you the remaining ball travel time. You can be very sloppy and still be correct most of the time. And that’s as accurate as you need to be to equal the accuracy as most roulette computers. In a follow-up video I’ll release soon, I’ll teach you a method that can accurately tell you how many ball revolutions are remaining. And you will achieve the same accuracy as almost every roulette computer. This is what most roulette computer sellers don’t want you to know. If you understand all of the above, you’d see how incredibly simple it all is. You’d also understand how you can afford to be very sloppy, and can just about guess how many revolutions are remaining and you’ll still very accurately determine how many milliseconds are left before the ball falls. 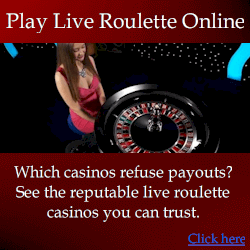 It is essential to note that ALL roulette computers use the above principles. You can look at the demonstration videos of basic roulette computers, and use basic visual ballistics to achieve almost exactly the same accuracy – without even using any electronic device. But because sellers want to make their products seem more competitive and exclusive, they’ll tell you their devices are highly sophisticated with unparalleled accuracy. How the remaining number of ball revolutions is determined Countless different methods. Some are perfectly accurate but complex to use, while others are just as accurate but very easy to use.Some methods use rotor movement to calculate ball speed, but such methods are ultimately impractical and inaccurate because rotor speeds usually vary too much between spins.Ultimately there are many very simple methods to accurately determine when there are ‘X’ number of revolutions remaining, whatever the value of ‘X’ is (typically about 4 or 5 ball revolutions). The average visual ballistics method is no more accurate than a basic roulette computer, because whether you use visual ballistics or a basic computer, you still get the same initial reference number, and the same winning number (A,B). The user keeps clicking a hidden button each time the ball passes a particular diamond. 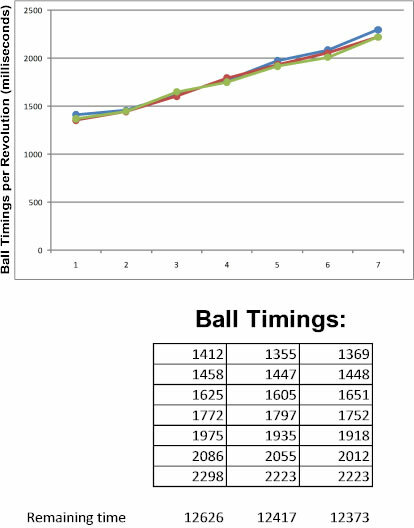 The computer calculates the time interval between clicks like a stopwatch, until the ball speed is in the set range.Let’s assume the computer is constantly waiting for the timing interval to be between 1300-1400ms (1.3-1.4s). When this time interval (ball speed) is reached, the computer vibrates to let the player know the target ball speed is reached. The player then observes which number is under the reference diamond. 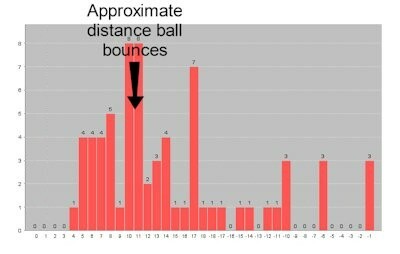 The ball then has the same number of revolutions remaining before it falls.The player then charts the distance between the reference number (A), and the actual winning number (B) as is done in the visual ballistics example on this page. NOTE: The main difference is the rotor’s orientation is more precisely calculated, although there are many simple visual ballistics methods that calculate rotor orientation with high accuracy. How the position of the rotor is determined for when the ball is predicted to fall Again there are many different methods, but this is where visual ballistics gets a bit more difficult. The methods that determine rotor position without electronic timing devices are still simple to learn, but they require practise. 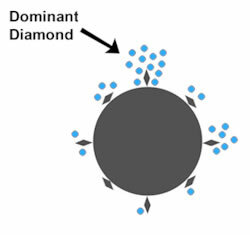 Realistically you can accurately calculate the correct number under the dominant diamond when the ball falls, within about 3 pockets of accuracy. This is about the same accuracy as the average roulette computer. A basic computer does not clock the rotor. You may have read of roulette computer sellers boasting that their computer doesn’t need to clock the rotor. It may sound great, but the cost is severely reduced accuracy. It’s like a car salesman boasting that a car doesn’t need wheels. But see how far you can drive without them.A slightly better than very basic computer will allow rotor clocking, and it will more accurately calculate which number will be under the dominant diamond when the ball falls. It will tell you something like the winning number is about +9 pockets from your initial reference number. Then when you know there are the 7 revolutions remaining, instead of taking your reference number from directly under the reference number, just look at 9 pockets clockwise from where you’d normally look. There you will see the 5 or so numbers you need to bet on. Exactly the same as is done with visual ballistics. Some computers still use the basic algorithm, but allow you to set the computer to make the adjustment to all predictions for you. This is easier, but does not increase accuracy. 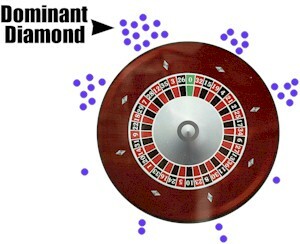 The main difference between typical visual ballistics and a basic roulette computer is that roulette computers are EASIER to use. There is no difference in accuracy between a skilled visual ballistic and computer player. Why? Because they both do exactly the same thing. They both just estimate when there are 7 or so ball revolutions remaining. They both “tune” by looking at how far the actual winning number is from the reference number, then making a simple adjustment. The player keeps clicking the hidden button until the time interval between clicks passes a certain threshold – this is when the ball is at a specific speed. When this threshold is passsed, the computer will vibrate at which time the player notes which number is under the reference diamond. Let’s say it was number 32 (number A). This is an un-tuned prediction so we call it the RAW prediction. Then the player waits for the ball to fall and come to rest in a pocket. Let’s say the winning number is 6 (number B). If we look at the distance between each number (A and B) in the chart left, we see this is +9 pockets (9 pockets clockwise) from the first to the second number. The player repeat this process for 30-60 spins and add each jump value to a chart like the one shown left. After enough spins, we will find that certain areas of this chart have groupings of high bars (called ‘peaks’). In the chart shown left, the peak is at about +10 pockets. This means for the player to win, they need to place bets around +10 pockets from the “raw prediction” (Number ‘A’). Some sellers of visual ballistic methods will charge you thousands of dollars to learn visual ballistics methods you have learned here for free. Before you paid them, they would have told you that the method they teach is the best. But the truth is visual ballistic methods are all very similar. They all use exactly the same principles. Certainly some visual ballistic methods are overall better than others, but the differences are not often significant. One exception is if the method relies on a consistent rotor speed for accuracy to be achieved. For example, one individual claims his visual ballistics method is best because it enables you to obtain a visual ballistics prediction when the ball is at any speed. This may sound great, and he lures in uninformed people. But the reality is the method relies on the player having an unrealistic top-view of the wheel, god-like skill, and a rotor speed that is almost identical on all spins. The reality is such a methods cannot be applied in real casino conditions. Even slight variations in rotor speeds alone eliminate accuracy. On the other hand, one of his competitors who he unjustly attacks teaches a far better method that doesn’t require consistent rotor speeds. So you need to be very careful about who you believe, or rather understand the principles for yourself, so you understand what is feasible. NASA’s roulette computer, or snake oil? Roulette computers that you can buy typically range from $500 – $5000, yet most do exactly the same thing. How is the price difference justified? IT ISN’T. Don’t just take my word for it. So you know this for yourself, try using visual ballistics on their demonstration videos, and you’ll achieve the same accuracy without even using a roulette computer. Remember that no matter what a vendor tells you, you can easily expose nonsense with careful testing and research of your own. If you prefer to just take other people’s word for it, don’t expect to know the truth. Of course every merchant is expected to promote their product, and it is common for merchants to stretch the truth about their products. However, the gambling industry has far more deception and false advertising in it than any other area of business I’ve ever known. It seems every roulette computer seller wants you to believe their device is space-age technology that cannot be obtained anywhere else. 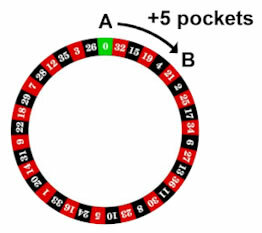 But the reality is almost every roulette computer uses the same basic algorithm explained on this page, and the accuracy differences between them are virtually negligible. Don’t let technical talk and fancy charts fool you. When you break it all down, you are left with a salesman trying to sell a basic computer that is no better than visual ballistics. The simplest roulette computer I offer is called the “Basic roulette computer”. No fancy names. 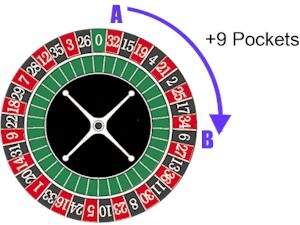 It is just a basic roulette computer using the basic design described above. It is FREE to my roulette system players because it realistically can beat only perhaps 5% of wheels, and still the accuracy is nowhere what could be achieved. Other device sellers sell comparable devices with exactly the same accuracy for between $500 – $5,000. Again, the price differences are not justified. I distribute this device for FREE. You can achieve exactly the same accuracy with basic visual ballistics methods. Alternatively you could buy a device for $2000 that does exactly the same thing, except the vendor blatantly lies and claims it does much more, and is the most accurate device available anywhere.